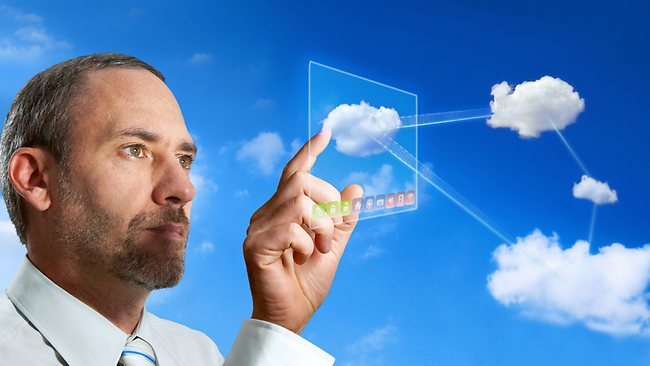 Cloud, Mobile – Mobile, Cloud: Coexisting Yet? Can enterprise mobility ever be complete without Cloud? Does Cloud have any reason to exist without mobile? These questions can’t be answered separately; rather it is important to find out the point of meeting for cloud computing and enterprise mobility to understand how they complement and supplement each other. Cloud computing and enterprise mobility have been into the scene for quite sometimes; however, surprisingly, even a couple of years back the extent of their collaboration and how it may affect the overall enterprise IT was not providing a clear picture. May be it still doesn’t to many. However, this is for our own good that we must know the meeting point of Cloud Computing and Enterprise Mobility and make the picture clear to ourselves. “…I don’t think of the cloud and mobile as two things. They are two facets of one thing. The cloud was created to enable mobility. And mobile devices are really uninteresting without the cloud. However, making this magic happen would require a lot of innovation, improvisation and the dare to stick-to-the-choice for organizations that are looking forward to more than just ‘doing good’ in the present. Enterprise Mobility: The Blessings Are On the Way but Watch Out …..! Enterprise Mobility, in a quite generalized way, is described as a system that encourages change to the traditional in-office work culture and allows employees to work from other locations. The correct coordination between Cloud platform and mobile devices makes this happen. Furthermore, enterprise mobility is not just about working seamless even on the move but the actual focus of the system is ensuring corporate data mobility. Apart from solving the connectivity issues between mobile devices and Cloud, it is also important to address the crucial security challenges that BYOD (Bring Your Own Devices) involves. However, the strongest challenge that Enterprise Mobility faces is evolving with the right methods that would help an organization in making their MDM (mobile device management) strategy compatible with newer applications and SaaS (software as a service). Dependence on end-user connectivity: The key factor that makes the perfect connection between Cloud and mobile platform happen is connectivity. Employees must find it easy to access data and applications in Cloud any point of time. Frequently, users depend on public networks and try finding the most reliable network. Confusion over finding the best connection or suddenly changing connectivity strength not only affects productivity but also stands as a great obstacle against the purpose that Enterprise Mobility aims at serving. The Cost of Data Usage: 3G networks and Wi-Fi are still the best options for users to access Cloud-based data. However, absence or striking lack of ‘pay as you use’ packages increase the cost of data usage significantly. Such high expenditure surely limits extent of the return you were expecting of Cloud. Security: Security issue is perhaps the biggest headache that stops organizations from hailing the marvel of Cloud and Enterprise Mobility combo. Apparently, security threats are still looming large over Cloud-based data, despite corporations deploying advanced end-point security solutions. No Point Holding Ourselves Back! We Have Mobile Policy Management! An important feature of Mobile Policy Management is automating the procedure of selecting the best available network. Enterprise IT once gets to stand over the foundation of a reliable MPM platform, the mobile devices, configured as per network selection and access policies, automatically select the best of the available networks. This attribute not only introduces transparency to remote access and connectivity but also boosts up productivity. MPM is one of the most construction solutions available to the cost management issues, especially generating due to calls from mobile users to support. These calls are generally made to find quick solution to connectivity or remote access. Implementing Mobile Policy Management empowers mobile connectivity errors and in turn reduces end-users problems, bringing down the overall support expenditure. The lack of ‘pay as you use’ facilities is a big headache for companies when it comes to managing the increasing data cost. Sometimes mobile employees are forced to pay for expensive Wi-Fi networks, as they cannot find any reliable 3G network from local providers. MPM platforms help employees with a white list of networks available and stop them from connecting unnecessarily with unsanctioned, expensive connectivity options. Getting access to free or public Wi-Fi zone is always tempting for mobile workers and when connectivity is a headache and they get a strong signal from an open Wi-Fi source, often they fail to resist. MPM platforms allow Enterprise IT to automatically implement network centric security policies and run regular procedures like host checking, security threshold management and any kind of unwanted bridging by malwares. In case, it finds the network not complying with the security policy, automatically the connection is terminated. The point of meeting for Cloud computing and Enterprise Mobility is definitely magical, provided everything falls at the right place. The journey is long indeed but the marvel of quest of human intelligence is quite near to breach the limitations, letting the meeting happen seamlessly. Sooner the industry at large would understand the benefits it may rip from Cloud and Enterprise Mobility complementing each other, quicker would be the journey to reach the destination. The future that many leaders foresaw is happening and awaits being witnessed by the rest of us.